Law firms in Toronto and Mississauga have highly specific and demanding printing needs. Legal contracts and forms need to be printed quickly and professionally every day, and when time is money, your clients don’t want to be left waiting for a document to finally appear. That’s why every legal office requires a high quality, highly reliable printing solution to remain competitive in Ontario. At Busys.ca, we pride ourselves on supplying printers for law firms in Toronto and Mississauga that meet and exceed our customer’s expectations. We specialize in providing a extensive range of professional grade multifunction printers and copiers to suite every law firm size and demands. Our team is committed to providing the leading customer service experience in the Greater Toronto Area, so you’ll always be getting the best printer at a price you’ll love at Busys.ca. Law firms in Toronto and Mississauga rely on high quality printed materials every day to provide professional service to their valued clients. If your printer isn’t up to the task of high definition printing at a fast pace, you could risk presenting fuzzy documents and damage your reputation. Legal contracts and documents also tend to be printed on high GSM paper for enhanced quality and longevity, which requires a printer that can handle these heavier paper weights. 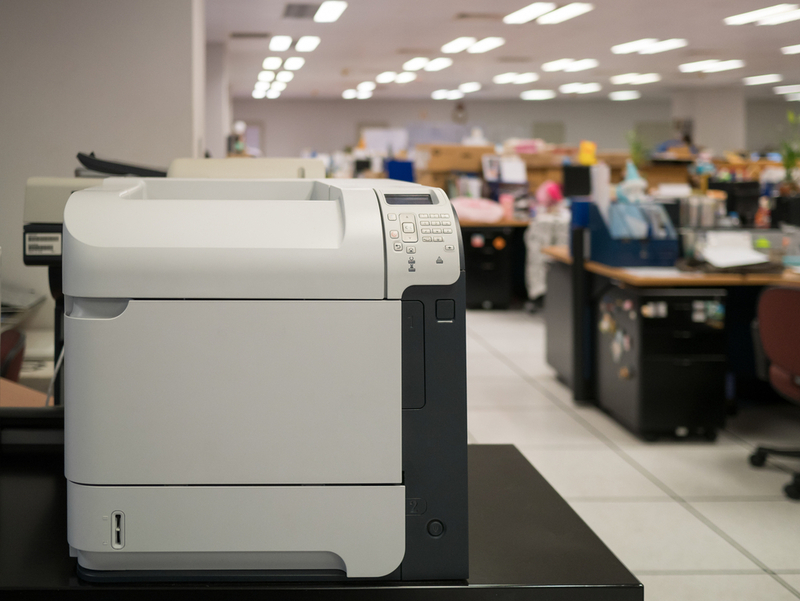 Having the right printer in house at your law firm can provide you with outstanding results every day, from a simple internal memo to a high profile client document. Busys.ca is proud to offer the largest range of industry-leading printers in Toronto and Mississauga to meet the ever evolving needs of local law firms. By partnering with high end producers like Konica Minolta, Toshiba, and Canon, we are able to bring the latest in printing technology to all our customers at a highly competitive price. From cutting-edge connectivity, to ultra high definition printing, to blazing fast output speeds, Busys.ca is guaranteed to have the multifunction printer and copier you need to impress your clients. Law firms in Toronto and Mississauga operate in an industry where a minute lost is a costly delay for both you and your client. If your meeting is held up due to a paper jam, slow printing speed, or software malfunction, you could lose a potential contract or appear unprofessional. Here at Busys.ca, we understand the need for consistency, reliability, and a professional print the first time, every time. That’s why our dedicated team knows everything there is to know about our extensive range of high quality printers, so they’ll always be able to get you the printer your law firm needs. 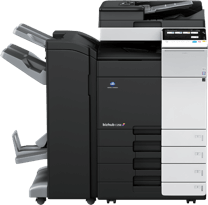 We also offer flexibility in financing by both leasing and selling our selection of multifunction printers and copiers. We work with you and your cash flow needs to find a solution that allows you to grow your business. As part of our commitment to being the leading printer supplier in Toronto and Mississauga, we also provide our customers with a comprehensive service package for any printer. Changing toner or worry about repairs is something that most law firms in the Greater Toronto Area do not have time for. That’s why our Busys.ca service package include all repairs and toner replacements before you run out, meaning you’ll always be on top of your game. We aim to make your office run as smoothly as our own, every day. No law firm wants to present their clients with smudged, patchy, or unevenly printed contracts during an important meeting. You know you’re good at your job, and you need a printer that is good at it’s job as well to ensure you look your best. All of our multifunction printers and copiers at Busys.ca come with high definition scanning, high output printing, and multiplexing capabilities as standard. You’ll never have to struggle getting a handwritten signature off the page and safely stored on your computer again, as deeply integrated scanning and emailing options open up your workflow. Have an important document stored on your phone or laptop and need it printed out fast? Built in AirPrint, Google Cloud Print and more will allow you to easily produce a physical copy in seconds. All of this functionality is beautifully accessible through large, high definition LCD touch screens, adding to the ease of usability for every law firm in Toronto and Mississauga. No two law firms are exactly alike in the GTA, and thus no set of printing needs are the same either. Some lawyers will require hundred-page contracts to be printed on a daily basis, while other law firms need high definition full colour scanning for evidence and case building. The team at Busys.ca is highly experienced in learning everything about our client’s business needs and then matching them with the perfect printer. With over 100 multifunction printers and copiers in our selection, we guarantee we have the ideal printing solution for your workspace. 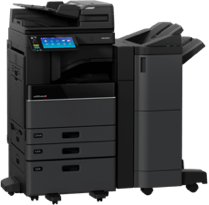 From Konica Minolta to Toshiba and Canon, we pride ourselves on our highly curated and industry-leading range of printers and copiers to meet any demands. We are always just a quick phone call away if you are ready to take your workplace efficiency to the next level. Our printing experts will explain all of your available options and take the time to answer any questions you might have about your new printer. 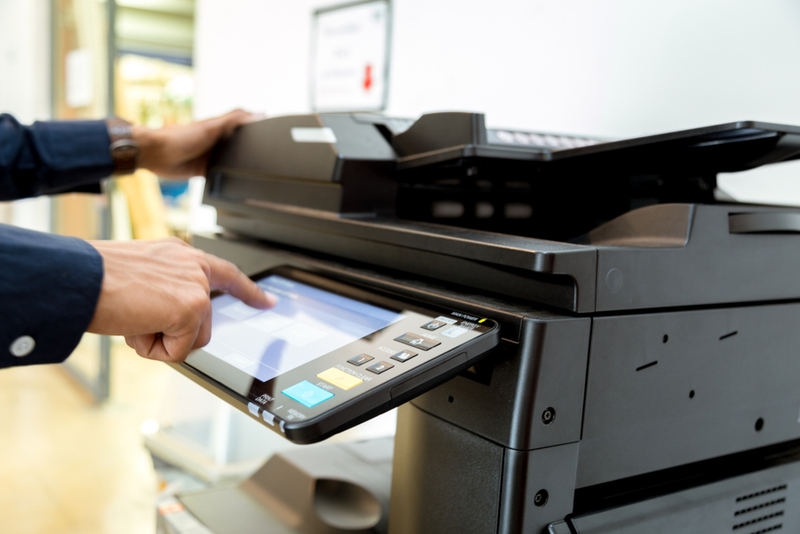 Take the stress out of dealing with printer replacements and repairs with our full service contracts, designed to save you time and money every day. If you’re looking for the leading provider of printers for law firms in Ontario, contact Busys.ca today.